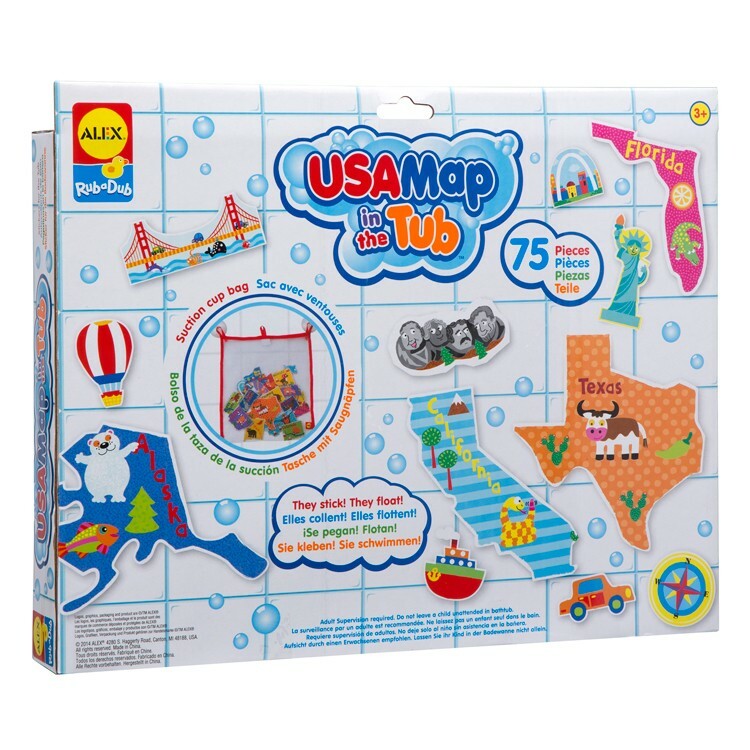 Use your bath soaking time wisely - learning US geography - with the new Alex Toys' USA Map bathtub puzzle. 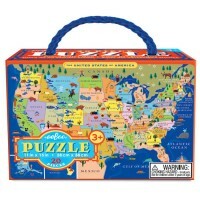 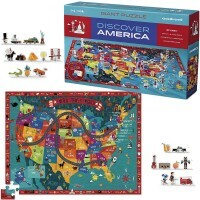 From the mountains to the prairies to the oceans white with foam this puzzle will take you all over the great U.S.A! 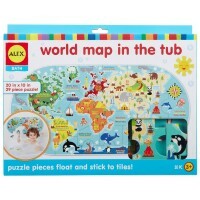 And your child can learn it all in the tub! 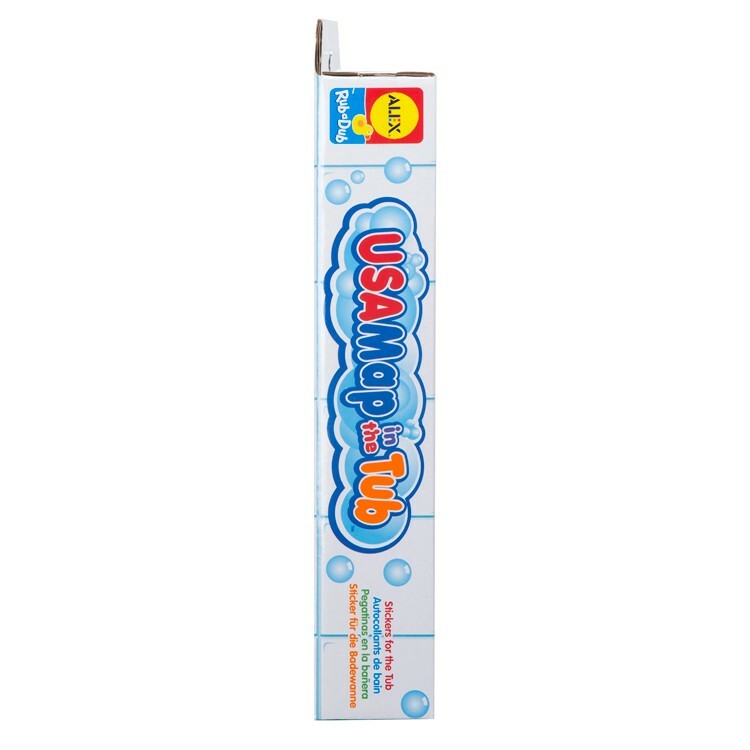 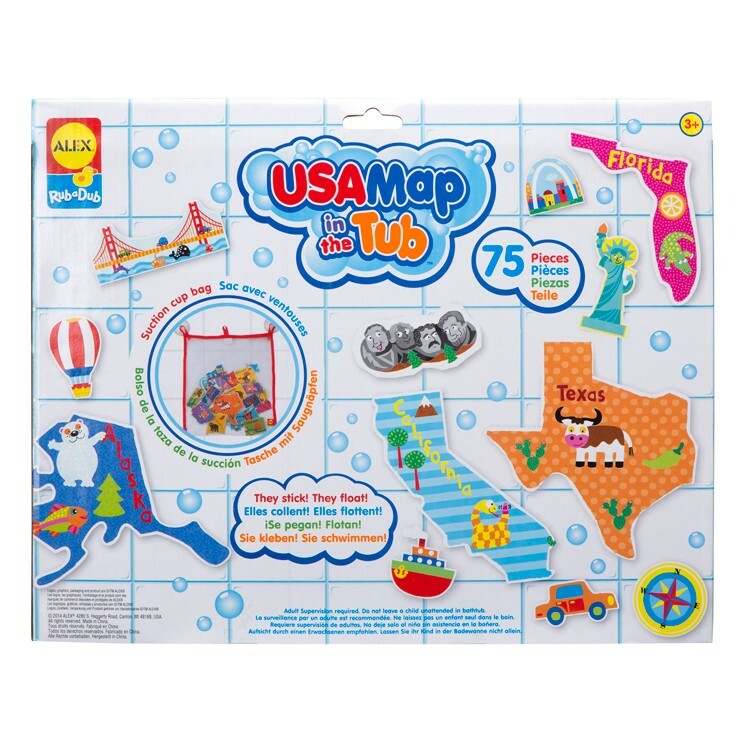 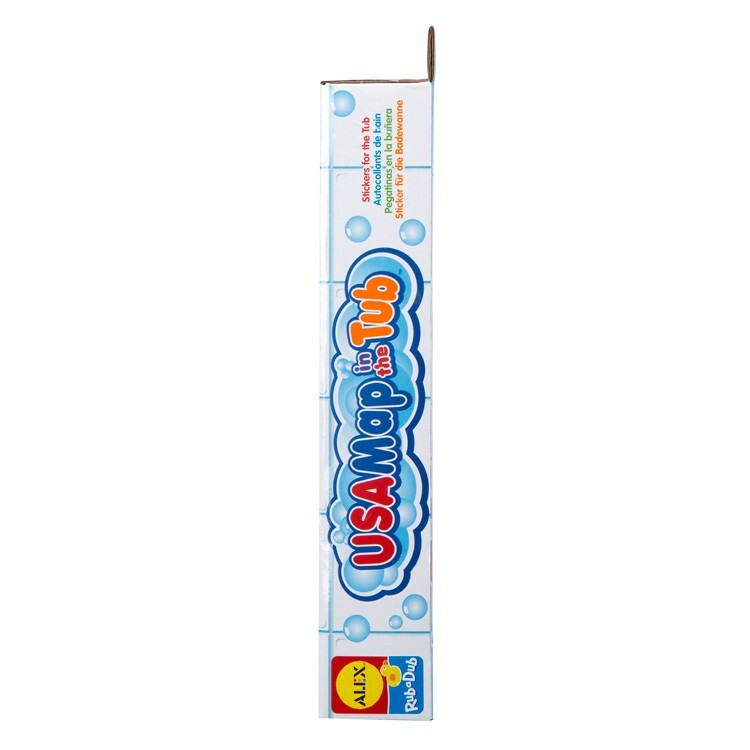 USA Map in the Tub 75 pc Foam Puzzle by Alex Toys is a unique educational bath toy for preschool and older kids. 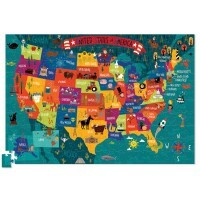 This 75 piece foam puzzle features a brightly colored map of the United States complete with all its states. 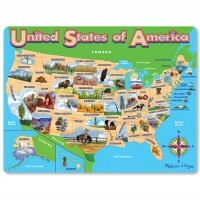 Each state has whimsical images of famous objects, landmarks, or animals associated with it. 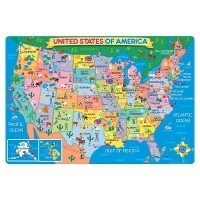 For example, California features palm trees and mountains, Alaska shows polar bear and fish, and Wyoming features buffalo. Not only will your child sharpen geography skills but they will also learn to identify the names of the states with this unique bath toy puzzle from Educational Toys Planet. 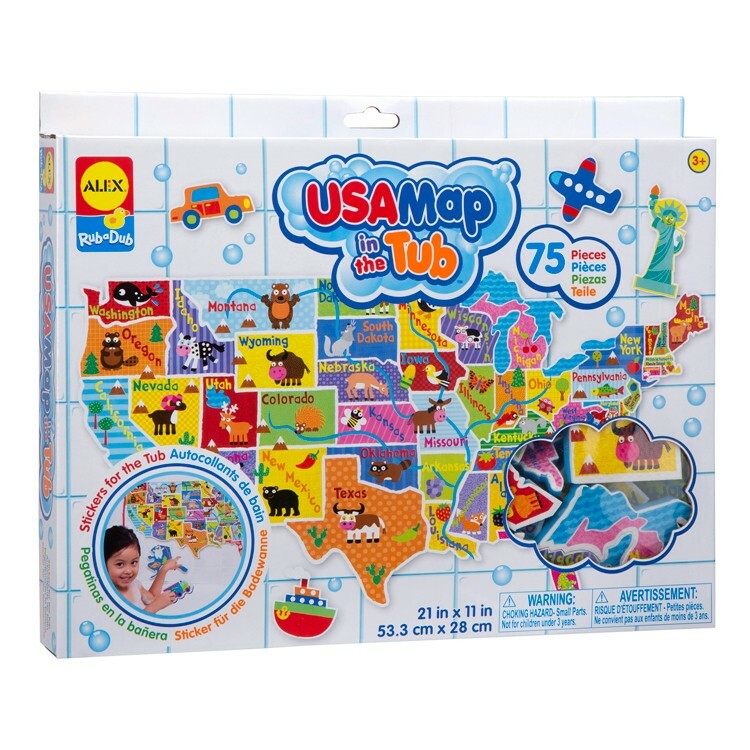 This US map puzzle bath toy includes extra pieces featuring compass, famous landmarks, vehicles and more to inspire your child to have an imaginary trip around our country, and right in the tub! 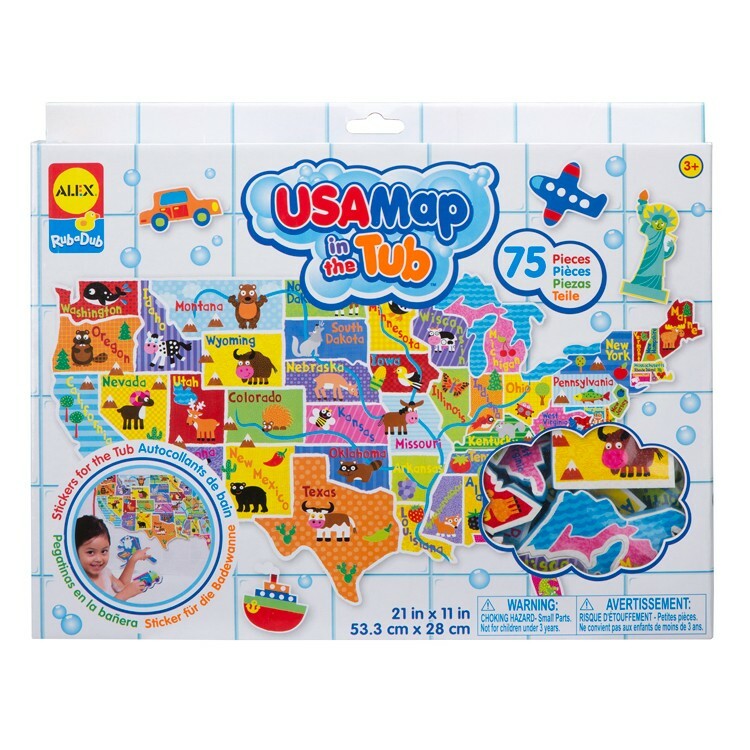 USA Map in the Tub 75 pc Foam Puzzle comes with a suction cup mesh storage bag to keep all the states and pieces organized. 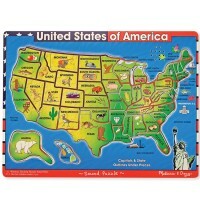 The assembled USA map puzzle is 21 x 11 inches. 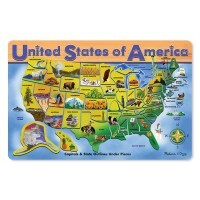 Use your bath soaking time wisely: learning US geography! 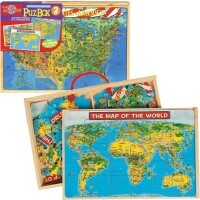 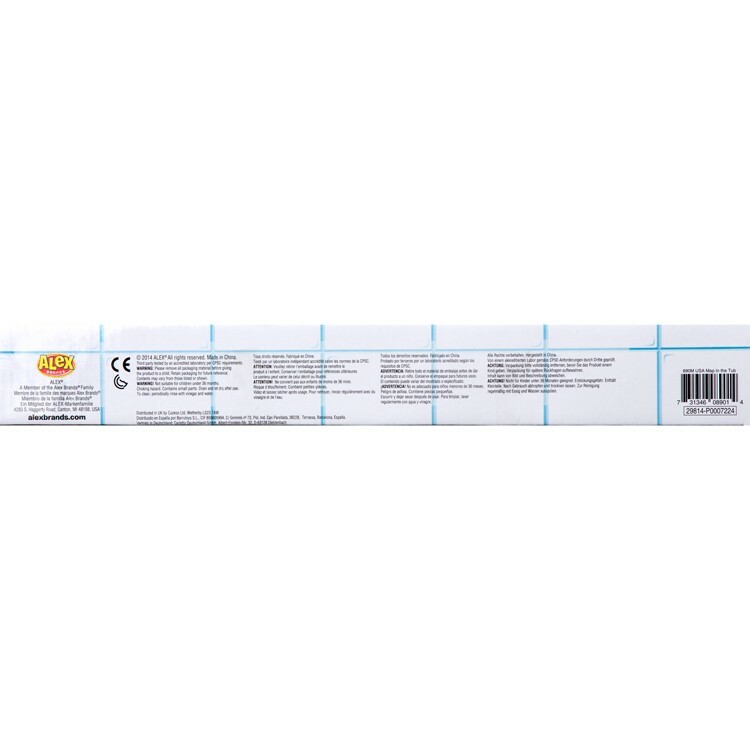 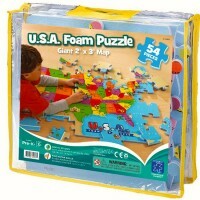 Dimensions of package 2" x 15" x 12"
Write your own review of USA Map in the Tub 75 pc Foam Puzzle.